You must make reservations at least 5 minutes in advance of the time at The Wharf. On street parking available and public parking garage directly behind restaurant. Free trolley from Metro stop to the Wharf and transit stop 1 block from restaurant. Multiple televisions for sports games, shows, etc. Weddings, rehearsal dinners, receptions, bridal showers, baby showers, holiday parties, bar/bat mitzvahs, business meetings/conferences. We offer small-scale catering services in the direct Old Town area. For larger inquiries, please call to discuss with a manager. With our beautiful private dining room on the second floor, The Wharf is the perfect place for your next business meeting or special occasion. With our fresh seafood and excellent staff, The Wharf can make your next event one to remember. History has been written inside the walls of the Wharf, with its 1790's style architecture featuring original wood columns and beams that are charred black from a Civil War fire. 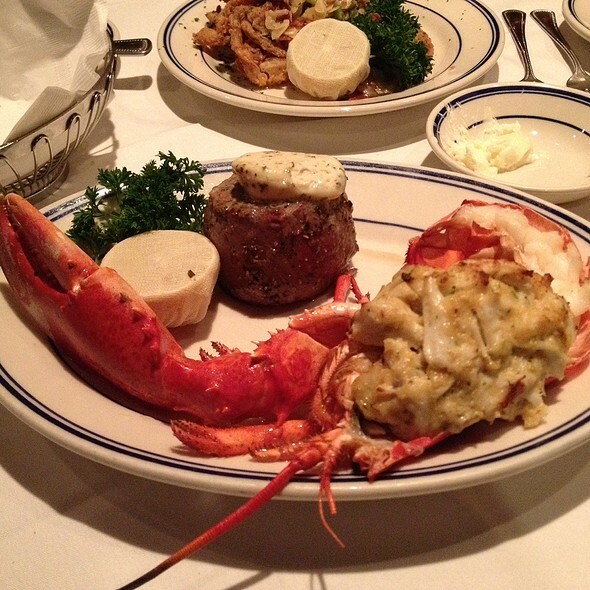 Since 1971, satisfied diners have been heading to The Wharf in Old Town for whole Maine lobster, local soft shell crabs and prime steaks. The restaurant has recently been renovated and remodeled and the menu updated to include many contemporary seafood items along with their traditional Chesapeake Bay creations. Fantastic atmosphere, inside and out. Short wait time, friendly staff and the food was excellent. Interesting history to the building which can be found on the menu. The decor is attractive and the service was very good. The food was great also. We went for Easter brunch. We went for Easter brunch and all the food we got was good especially my scallops there amazing !! Server could of remembered coffee and my mom’s soda but other than that everything was good ! The staff and especially our waiter were wonderful and our window seat was available as requested! Great Dinner! Nice historic setting with delicious sea food. Simple but nice décor; lots of wood. Ambiance was very relaxing with conversation-friendly noise level. Our server was extremely nice, helpful and quite attentive. Food was excellent overall. Started with fried calamari - well-cooked and light, and crab perfectly cooked and lightly seasoned. Po boy again perfectly cooked with a very good Cajun remoulade. 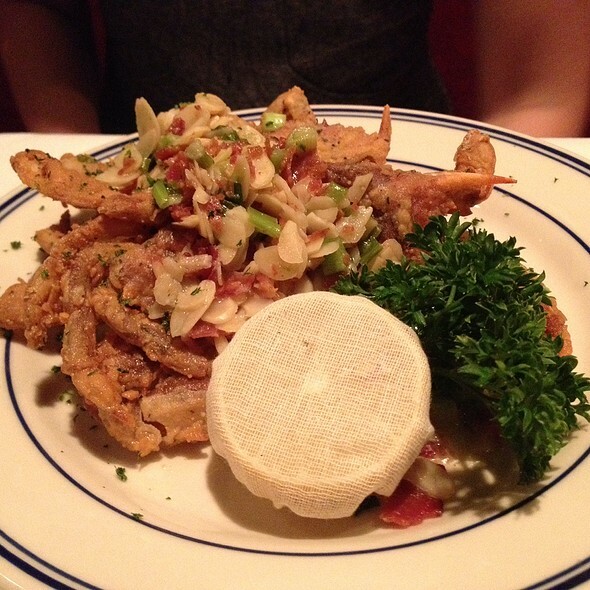 Although fried, softshell crab was just lightly breaded, well-seasoned and not at all greasy. Side of spinach was fresh and very well cooked. Shared dessert of homemade key lime pie with whipped cream & raspberry coulis was as good as any and better than most. In all a most enjoyable family Sunday dinner at a very reasonable price with good food and pleasant surroundings. My husband and I both had the lobster asparagas frittata - which was delicious. We love the bread that accompanies the meal and appreciate that the butter is not rock hard. We had salads to accompany our meal, plus coffee. Wonderful waiter, and everything was quite timely. Service was subpar which took away from ambiance and special night that I planned. My husband and I are both seafood lovers. We were seated near a couple of tables with teens - attending a prom , it appeared. I thought our service to be a tad slow... but it was a Saturday evening. My biggest complaint was not about the food, which was hot and excellent - but we were seated next to the busboy's station., where glasses and silverware were stacked and dispensed. And he/they were loud with the clatter. I've been to restaurants in Europe where the busboys go out of their way to be considerate about the clanking of the dishes etc., but not here. It was disappointing - and disturbing. Great food! Great Service! A little pricey. Overall, a good experience. Always a wonderful experience. Great service, high quality seafood. The Warf is a guaranteed stop on my annual visits to DC. Found it by accident but keep returning on purpose. Excellent service and food. The waiter was very attentive to our needs. They made our anniversary extra special! With complimentary champagne and a special dessert. All the food was delicious. It was an overall great way to celebrate. Everything was great. We go there on our wedding anniversary because we had our wedding day dinner there. I lost my fitbit. They went the extra mile to find it for me. My wife and I selected this for our anniversary dinner and we were not disappointed. The service was outstanding! I had lobster (cooked to perfection) and my wife had the crab cakes. 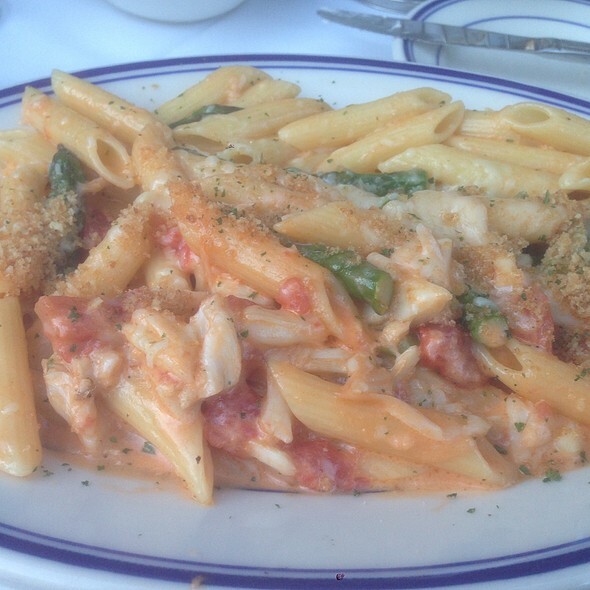 This is a meal we will never forget! When we return to Alexandria, The Wharf is at the top of our list for dinning. Thank you so much, Starling. Happy anniversary, we so much appreciate you celebrating with us! We will not go back. Waitress was rude, did not know the menu, the soup was cold, food was not amazing. Not a good price/quality value. Went here for my birthday. Love their crab cakes. My wife thought the raw oysters and cioppino appetizer were fantastic. Service as always was good. When I made the reservations for our anniversary dinner, we didn’t realize until we got there that we’ve eaten there before. The fact that we didn’t remember it says a lot. The ambiance leaves a lot to be desired. It appears very old and in need of a refresh and update. The food is ok, nothing to really rave about, and I think is overpriced for what you get. We had the fried sampler platter as an appetizer. The fritters were good but the calamari was a bit tough and mostly tentacles. For the entree I had the shrimp pasta, which was rather oily, and my spouse had the crab cakes, which consisted of two small cakes along with fries and veggies. Neither meal is particularly memorable. The staff are very good. Our server was very pleasant and responsive and the bus boys were really on top of things, especially with keeping our water glasses filled. All in all this is a mediocre restaurant which probably manages to survive because of the very busy tourist attractions in Old Towne. I was visiting my daughter in DC so we decided to go to The Wharf restaurant. The service was awful, dark and dingy, food was soaked in butter and the waiter brought us the wrong food. I would recommend to skip this place because there are so many fabulous restaurants right on that block near the water. Even the guy who seated us had an attitude. The worst part is that when I arrived I told them my reservation was with Open Table so please check me in so I receive the points. When I arrived home I looked and THEY CANCELLED MY RESERVATION so I didn’t get the points. Maybe I should call them to get back my $200 since I obviously was never there according to them! The food was fantastic! We needed it served quickly because we had another appointment. We were grateful when the food arrived in time for us to enjoy it and make it to our next appointment on time. The server was super but messed up our check. He quickly resolved it and it was no biggie. Be sure to plan on having parking issues on Saturday evenings and allow time to find a place to park. The nearby parking deck was full. Popular area. Subpar dining experience in a beautiful area. Food was served lukewarm and service was scatterbrained. We thoroughly enjoyed dinner at the Wharf, it was the first time we had dined there and we will definitely return! It was recommended following an online search for a romantic dining location with good lobster, and the Wharf returned as the top result. I agree and highly recommend to anyone looking to celebrate a special occasion and enjoy an amazing meal. 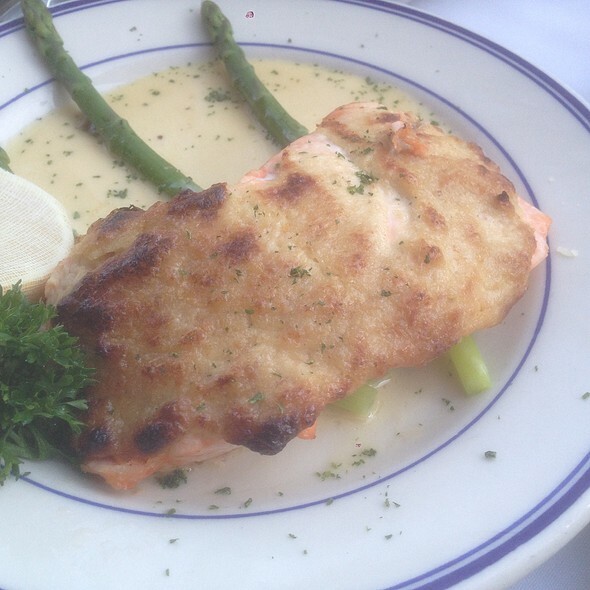 The service was incredible, our server Amaris was extremely knowledgable and maintained the perfect amount of attentiveness throughout the meal. Best server I have ever had at a restaurant! Must have the crab cake!!! Excellent service, great food, great atmosphere; we love coming here, espectally for special ocasions!! Had a great time with our server Andrea. Been going to the Wharf since the early 80’s. 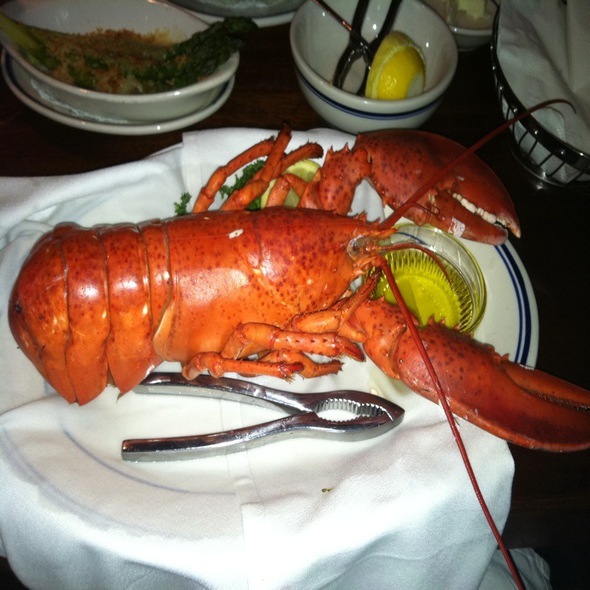 Best lobster in town to this day. We had a great lunch Saturday afternoon. The appetizers were delish along with the she crab soup. Followed with lobster rolls and stuff flounder, all superb. You must eat here! Birthday dinner. Enjoyed oysters, softshell crabs, and crab cakes. 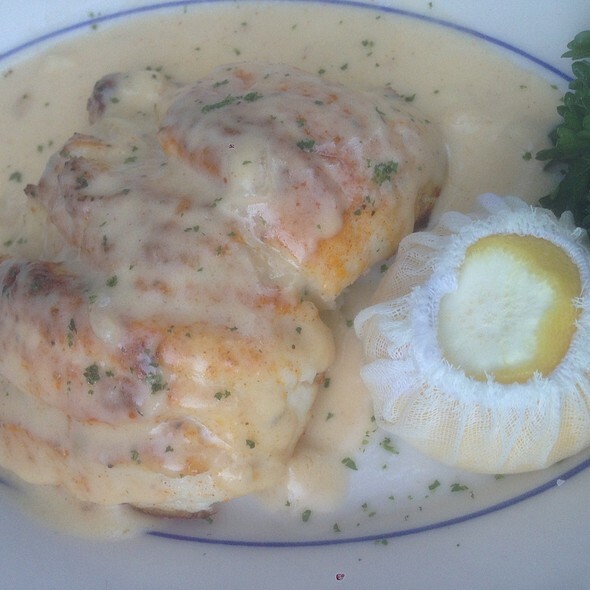 We are picky and thoroughly enjoyed our experience at The Wharf. The service, ambiance, food and wine were all outstanding. If you are sensitive to noise you will appreciate dining here. We sat upstairs near the window and it was delightful. My GF and I absolutely loved this restaurant! We plan on coming back. The Wharf has superb shecrab soup. 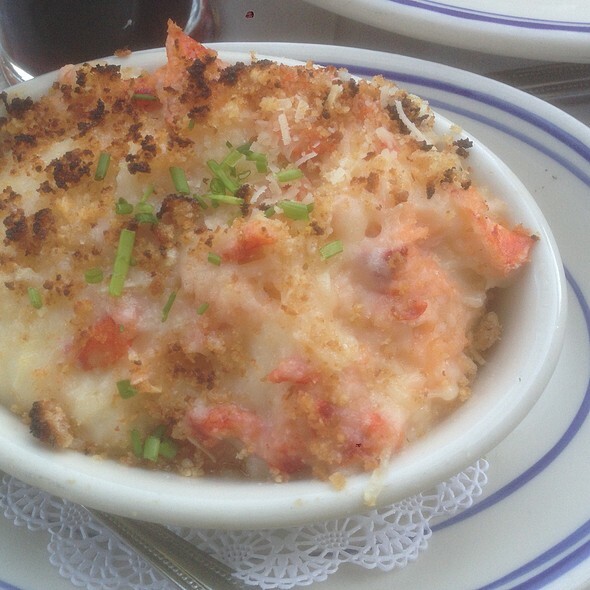 I would recommend sticking to seafood dishes. The food was great the service was fast. Price was worth it. 3 course meal for 2 round $100. Wonderful atmosphere, prompt service, very good crab cakes. Overall worth the experience! Seafood was top-tier. 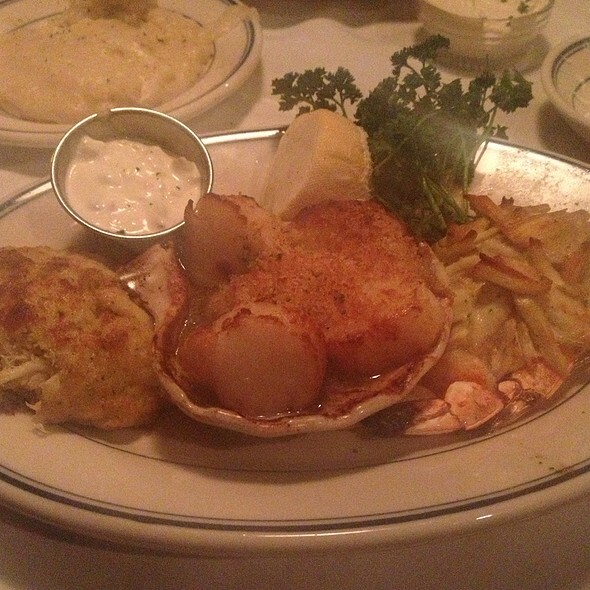 I had the crab cakes and my g.f. had the Norfolk, a delicious combo of lobster, crab, and shrimp. Refreshingly, the dishes were excellently prepared as expected without a lot of extraneous unexpected ingredients or hot spices so prevalent in many of today's "trendy, hip" restaurants. Here, the true flavor of the seafood comes through. 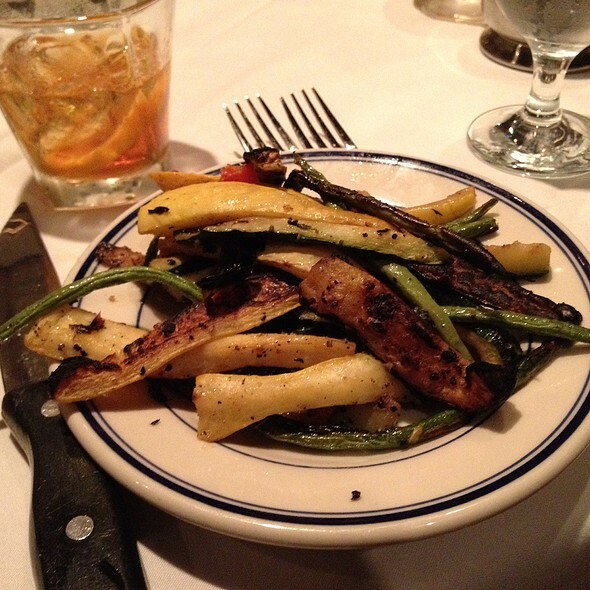 If their land dishes are as good, it has to be one of the best restaurants in Old Town. I think we had one of the two best tables in the house, overlooking the street. The other seating doesn't have much of a view. It is pricey, but I think it is worth a special occasion (my g.f.'s birthday). The Manhattans and Old Fashioneds were good. I'd have appreciated the dirty ice for the Manhattans but it wasn't offered. I will go back. The food was just ok. Perhaps I ordered the wrong thing. My dear friend & I celebrated my birthday with lunch at The Wharf. We both enjoyed our meal and martinis (pear & dirty vodka) thoroughly. We so appreciated the service from our waiter, Edwin. Most accommodating, charming & delightful. My second visit and my friend's first was well worth it! Definitely will return!